Some people call it barren and rocky, others call it lunar and magical, but beyond what it looks like, the Burren is a place of inspiration and creativity. With every path, boreen, valley or hilltop, artists from all over the world let their creative spirits come alive in the Burren. Whether you are one of them or you’d simply like to try something different, give yourself a special gift this year: the gift of painting or drawing in a professional artist studio at Burren College of Art. 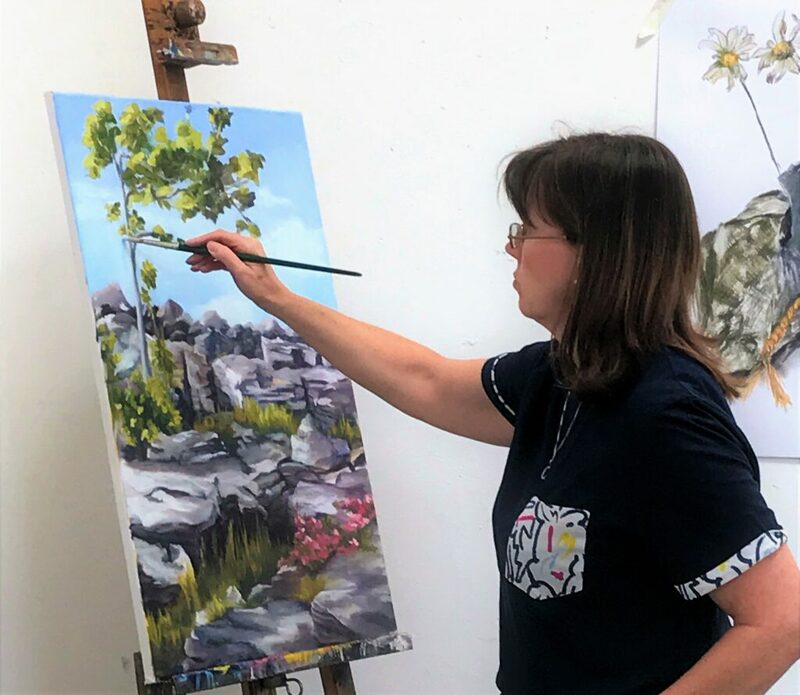 Choose a workshop in May, when the Burren colours are exquisite or in August – to combine your artistic talent with a summer holiday. The tutors will offer demos, valuable tutorials and guidance in five day courses – all you have to do is choose your favorite one. To compliment that, good healthy meals, prepared daily from locally sourced produce are available in the cafe on campus while bright and comfortable self-catering accommodation can be booked online in our college housing located at a ten minutes leisurely walk from BCA. So have a look at the summer workshops listed below or email Julia for more information. Also, watch this space as other workshops may be added throughout the year. See you in the Burren this summer! Exploring Drawing as a Primary Artform – N E W ! How To Take Stunning Photographs – N E W! PLEASE NOTE: Once you’ve submitted your application, you should immediately see an acknowledgement page confirming the submission. If you do not see this, please contact Julia Long at julia@burrencollege.ie to make sure your application has been received by the College. The accommodation in our self-catering college housing is located within 10 minutes walk from Burren College of Art. The bedrooms are en-suite, bright and well appointed. Communal areas include a large living room with an open fire, dining room, TV area, well equipped kitchen, laundry and public washrooms. A roofed patio area with chimney is an ideal outdoor summer gathering space. The housing has WiFi throughout and is wheelchair accessible. Single rates are charged at €45 per person per night. Twin-room accommodation is also available for those wishing to share a room – please enquire separately for rates. Although the availability of the college self-catering housing is limited, alternative options are available in various guesthouses and hotels throughout Ballyvaughan. For further information please go to www.discoverballyvaughan.com or contact julia@burrencollege.ie for our accommodation list. All tuition and fees are due at least 4 weeks before the start of the programme. The Burren College of Art accepts no obligation to refund any fee or part of after this date.